In my Backwards and Forwards column on Monday, I said that if Bill Shorten gave a barnstorming, grievance-pandering, promise-laden speech in reply to Josh Frydenberg’s first budget, Labor could steal the headlines and the momentum as this benighted parliament rose for the last time. That’s just what Shorten did. If you look at Friday’s headlines, bar the sober Australian, Shorten is Father Christmas, Mother Teresa and Bambi rolled into one. Forget his lousy personal poll rating: Shorten delivered a crafty, well-sculptured (that is, he didn’t write it), button-pusher of a reply speech. His centrepiece cancer plan, shovelling billions into bulk-billing cancer scans and treatments and listing each, and listing every clinically-approved cancer drug known to man on the PBS, was a humdinger of a button-pusher. As Shorten said, one of two of us has had a personal brush with cancer, and the rest of us know somebody close who has. It resonates. My first reaction to what Shorten said, and how he said it, was the game is up for Scott Morrison and the Coalition. Mathias Cormann’s post-speech appearance before the cameras to denounce the Shorten manifesto being founded on $200 billion of new taxes was so hollow, miserable and repetitive that Sky’s David Speers cut from him mid-flow. That itself symbolised the government’s Sisyphean task, and the fact that much of even the thinking media already has written off the government. In the cold light of next morning, however, I didn’t feel so pessimistic. Besides the fact the sun had risen after all, reality streamed in with the sunlight. In his final, eager push for power, Shorten has overreached. On Thursday night, Shorten sloshed billions like a drunk buying a round sloshes beer all over the floor. For TAFE, schools, hospitals and Medicare and much besides as well as cancer. He matched Frydenberg’s tax cuts for middle-income earners and exceeded them for low-end earners. He reaffirmed Labor’s determination to push through its negative gearing, franking credits and high earner surcharge taxes. But beneath the bright shiny paintwork, the wood of Labor’s campaign boat is rotten. For the economy, education and health – the key battlegrounds for this election – Labor is throwing yours and my money left, right and centre but offers no structural reform to keep our economy and what it pays are fit for purpose as we head towards mid-century. 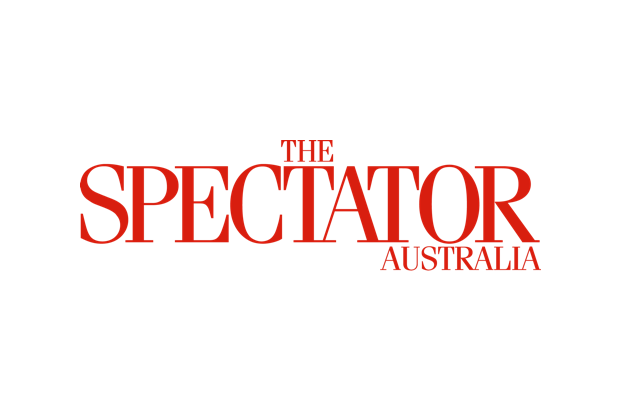 Just as governments and political parties invariably do – and sadly the Abbott-Turnbull-Morrison government has been no exception – Shorten wants us to define performance by the quantity of spend, not the quality of the spending. Seemingly he believes we’re little children whose attention is commanded by bright shiny objects, and he and his brains trust packed his reply speech full of them. But when there has been no successful structural reform in Australia since John Howard and Peter Costello got the GST through in 1999, all we really got on Thursday night was another big bag of lollies. Since the Coalition squibbed the leadership mandate it won in 2013, and the polls say Labor’s a shoo-in, now was the time to do what Tony Abbott failed to do in 2013 and show restraint and a touch of reformism. As a result, what do we have instead? A superficially compelling but high-taxing, huge-spending, Whitlamesque Labor platform taxing wealth generators to the hilt in the blithe assumption the economy will continue to grow, when the signs locally and internationally say the opposite. If the government can get its act together, it must go immediately into opposition mode and scrape off the paint to expose Labor’s policy rotten wood. Take the cancer centrepiece. It is based on bulk-billing scans and allowing any and all MRI machines to bill Medicare. The diagnostic imaging industry is one of the biggest, greediest rent-seekers in the healthcare sector; and that’s no small feat in that rent-seeker Nirvana. For them, this is a licence to print money: now Shorten’s announced this, he’s a hostage to whatever their demands. Whatever he thinks radiology operators want to bulk-bill cancer-related services in putting his plan together, they will up the ante knowing Shorten cannot retreat. And most people in the public system already get good cancer care free of charge, in and out of hospital, and most privately insured patients aren’t gouged by their surgeons and specialists. Shorten wants to spend billions to buy off greedy outliers, not improve the quality and efficiency of the healthcare system and how it’s paid for. Policy bribery and little else. Shorten has overreached, and can be exposed and defeated, but the electorate has stopped listening to the government. To have a chance of fighting Shorten’s populist profligacy with any success, Morrison needs not only to deconstruct and expose Labor’s plans. He needs a circuit breaker, a conversation starter, to focus minds. He should start by channelling Paul Keating. In 1992, when John Hewson and Fightback! were riding high, Keating pulled off a political masterstroke. Knowing many voters feared Hewson’s GST but thought it would ever happen if the Coalition didn’t control the Senate, Keating suddenly announced (to Hewson and his frontbenchers’ delight, as the YouTube video shows) that if the Coalition won, Labor would not block the GST. There would be no backstop; if you voted for Hewson you got his great, big, new tax. This piece of tactical genius didn’t in itself win the 1993 election for Keating, but it gave his struggling government the break it needed to take Hewson’s momentum head-on. Suddenly the hypothetical became real, and voters were spooked. Many thought twice, and the polling gap closed to get Labor back in the game. Morrison, Frydenberg and Cormann should take note. Instead of sending out the Cormannator to repeat miserably and futilely the $200 billion new taxes mantra, they should simply say, “If you vote for Labor’s new taxes, you will get Labor’s new taxes because if Labor wins we won’t oppose them”. In a moment the government would make the choice both stark and real. It would make a contest possible out instead of a walkover defeat. And it would make voters whose income is being targeted by Labor but are seduced by Shorten’s spending think very carefully before they jump. For those who choose Shorten, there will be no Senate backstop to dilute the pain. Unlike Malcolm Turnbull, Morrison is not afraid to fight street-by-street, house-by-house. But he still needs an armour-piercing bazooka to stop Labor’s tanks. Making sure voters know that if they vote for Labor’s tax theft that’s exactly what they’ll get, would be just that. Illustration: Silver Pictures/20th Century Fox. If James Ashby knocks, will Coalition ministers answer?